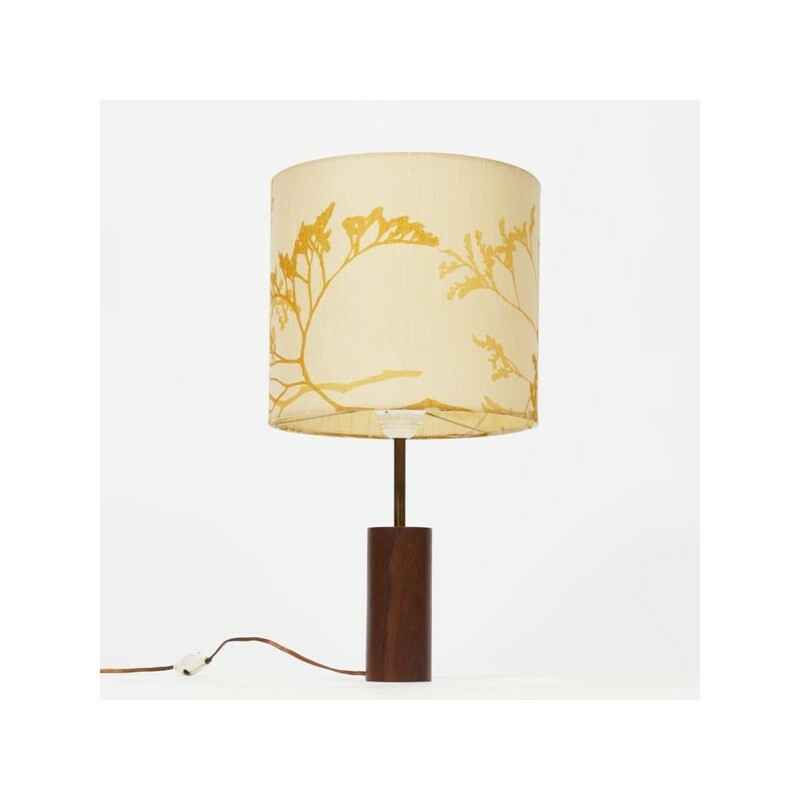 Beautiful table lamp from the sixties in original condition. 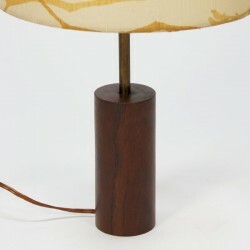 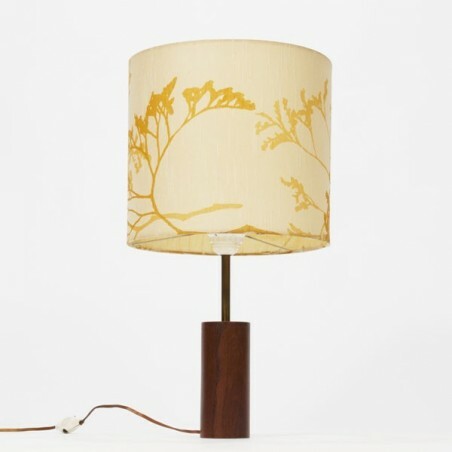 The lamp stands on a teak base with brass rod on which the fabric lamp-shade is mounted. 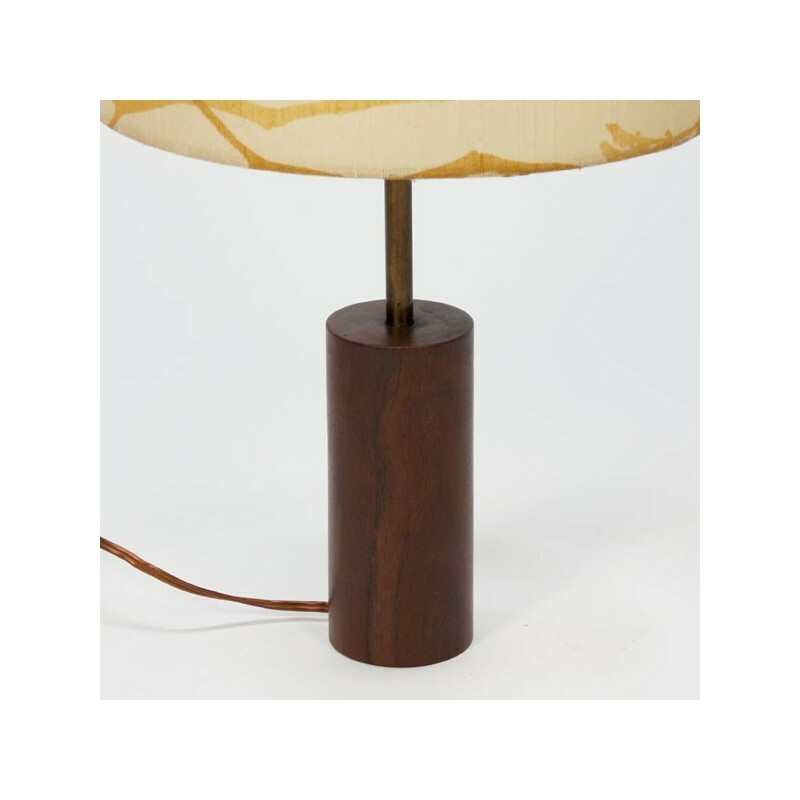 The condition is quite good, the foot is in good condition, the fabric lamp-shade is in fairly good condition, see pictures for details. 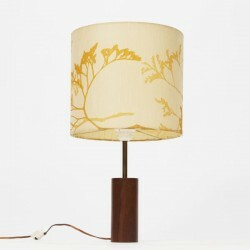 The size is 51.5 cm high and 28 cm in diameter.